Fifty-four-year-old Michael Miu’s (苗僑偉) charm is unstoppable. Compared to TVB’s handsome young leading men, such as Raymond Lam (林峯), Bosco Wong (黃宗澤), and Ron Ng (吳卓羲), Michael is still within their ranks and able to magnetize viewers with his attractive looks. Chow Yun Fat (周潤發) greatly influenced Michael’s outlook, and affected his attitude toward the entertainment business. During the beginning of Michael’s career, he was overjoyed at the opportunity to work with Chow Yun Fat. Although Chow Yun Fat was a rising star, he never showed his ” big movie star” status. Chow Yun Fat has a great sense of humor and got along very well with all the actors and the crew. He would never give any pressure to anyone during filming. When filming outdoor scenes, Chow Yun Fat would entertain the crew and cast with jokes and bought fresh seafood for barbecue. “Chow Yun Fat certainly knew how to make the working environment fun and relaxing. The long hours of filming went by very quickly,” Michael recalled. Michael found inspiration in the work philosophy and continued to use “Fat Gor’s spirit” throughout his acting career. Michael is always very easygoing whether he is at work or at home with his family. He never shows his rank of a father in front of his children. Michael and his wife, Jamie Chik (戚美珍) believe in allowing their children to have the freedom to explore. Parents should not make their children suffer any hardships. An open-minded approach is a better way to teach the next generation. When asked whether he will allow his kids to pursue acting careers, Michael admits that a parent’s job will affect children’s choices in choosing career choices. If his children decide to choose acting as their careers, he will help to set up a path for them. Success will depend on the individuals, and whether or not they have the qualities to become successful in the acting career. Referring to Nicholas Tse’s (謝霆鋒) celebrity-parents roots, Michael pointed out that Nicholas also has his own talent and relied on hard work to become a successful actor. However, many people with famous parents did not succeed in their acting careers; having celebrity parents does not always guarantee success. Michael described his acting career as an “abyss”. Every actor has his own goals in the beginning of his career, with the goals changing over time. Sometimes, the goals may become blurry, and it will depend on the actor’s strong will to survive in his career. Although left TVB for over 10 years to pursue his optical business, his love of acting has never left him. Ever since returning to the small screen, Michael is addicted to acting, and believes there is no end to his acting career. Actors at different ages bring value to the show, similar to how Hollywood veteran actors in their 60’s and 70’s can still showcase their talents and are able to shine in the entertainment industry. Michael truly believes that having “heart” is the most important ingredient to persevere in the acting industry. He feels that one should approach everything and everyone in life–including colleagues, family, and friends–with all of one’s heart. he still looks quite handsome after all these years. 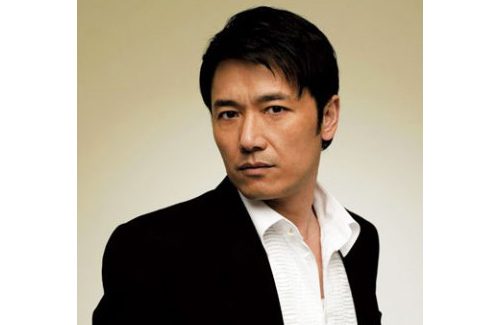 Is it just me, or does he and Leon Lai look quite similar these days? I actually thought that picture was Leon Lai-ming at first in my early morning fog, without registering the words in the title. No comparison. Lai-ming is an arrogant scum. I don’t find them similar. Michael looks much better. Oh, just looked at the picture above. Yeah in that picture is a bit alike, the expression I guess. now that you brought it up, i actually do see a resemblance in this photo…they could pass as brothers. michael ages much better than leon though. Funny you mention that, my sister and I have made that comparison as well. I think it’s the way Micheal has been aging, the young Michael does not resemble Leon but the older one does. The hottest actor in Hong Kong for me, but I’ve always been a sucker for older men. I really enjoy watching his series. He still looks good for his age! One of the older actors out there that I can sit and watch them have a kissing/passionate moment….some older ones…Damian, Elliot Ngok (I was about to die watching him in Gem of Life), etc. Wow at 54, he looks amazing! He is my best on screen actor, much better than Raymond Lam! I watched him in ‘Yeung Ka Cheung’ when I was a young kid and my god, I have not stopped loving him lol! My cup of tea any day!! He was one of my idols too back in those days, he has aged gracefully and is still looking hot….still enjoying his shows very much. Michael Miu was one of my favorite actors (in terms of looks, not in terms of acting) when I was young. Amazingly he still looks very good and handsome now. Man, he is older than Kevin and he looks so good! I was so happy when he came back to acting and glad that he enjoys it just like he always did. What a great father! It is hard to find parents from the older generation whom are open minded. His kids are truly lucky!!! Michael’s performances ever since his comeback have been average. He was good in The Academy, and I’m loving him as Gordon. It’s his best performance ever since his comeback. Are you saying his performances before his comeback were better?? One thing is that back in the days, he was in more ancient series while now he is in more modern series. He was more known for his ancient dramas back then too. Michael Miu was never that good in acting though he was a popular 1st lead actor. He was more popular for his handsome look. I never really enjoyed his acting in the past. He may act better now as a veteran. Sandcherry, I agree with you! MM is one of my all time favorite actors. Love love love his series with Barbarba Yung. He was the best looking actor in ancient series for me back in the day…and he’s aging nicely. MM is hk’s George Clooney :-). Interesting article. I love his approach towards work and the education of his children. They are very lucky to have such open-minded parents. I might have enjoyed the learning process and college life if my parents weren’t too close-minded. Michael Miu has always been supportive of the younger actors. I remember reading a article years ago, when he first came back to showbiz. At that time, many people complain that the young ones are rising too fast. But, Michael voiced his support for them. He really is a good older generation who is very understanding towards the youngsters. Hope TVB will film a romance drama starring Michael Miu and Charmaine Sheh. just like the love story of the Korean dramas.